Learn from one of the best. Enter your details and we'll keep you up to date. Oscar’s many successes have inspired the paddle sports world and left people wondering how he does it. In a bid to answer these questions Oscar conducts surf ski clinics around the world, instructing paddlers how to train, race and win utilizing his methods and technique. With thousands of people already beneficiaries of Oscar’s expertise, he has left an everlasting impression on this community. After more than 20 years of clinics and coaching, Oscar now wants to assist more paddlers through his new online club and coaching platform. The platform will have options for all levels of abilities and affordability, from beginners to elite experts. 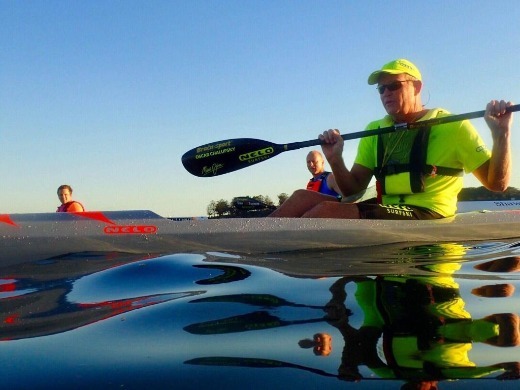 Oscar's club and coaching platform is for anyone who aspires to improve their paddling whether they are new to the sport or have been paddling for years. Our sport is one of the most technical there is and without the right help and guidance, it is easy to reach a plateau where nothing you seem to do, helps you to attain your personal goal. The technique sessions, videos, structured training plans and direct contact with Oscar offered and provided will help you break through to new levels of satisfaction and performance. Oscar has decades of life experience, training, racing at the highest level and all the while building businesses and a family. He understands how to optimize training for people with full lives so you can effortlessly paddle faster and have fun at the same time without compromising what's important. Enter your details to be the first to know when we go live with the new coaching platform and to be kept up to date with our progress.